Reporting on her experience, Dr. Riley stated:in the urology department. During her time in Hue, Dr. Riley was able to experience the differences in international healthcare. “I did enjoy that we were able to give daily presentations. The conversations following these topics were very interesting to further understand the culture as well as understand some of the limitations on the Vietnamese surgeons. In addition most of the Vietnamese doctors wanted improved English particularly medical English and this provided a forum for them to practice. Through the generous sponsorship provided by Oceana Pharmaceuticals, Dr. Ogunyemi was accepted as a Traveling Resident Scholar to work in Accra, Ghana under the supervision of mentor, Dr. Sunny Mante. During the trip, Dr. Ogunyemi was able to give back to an area that faced similar issues as her home country, Nigeria. “During medical school, I traveled to Central America to volunteer in Guatemala in obstetrics and family medicine, but I have never had the opportunity in the field that I will devote my career. I have always known, as an immigrant and child of immigrants, that it would be vital to provide to me to provide care globally and foster relationships that would make this possible. IVUmed is my opportunity to begin this work. “Clinic was a fast and furious experience. Each few moments, one of the charts from the stack was pulled, a patient appeared and a story was told. “My week in Accra was a wonderful experience and one that I will cherish for the rest of my professional career. I truly appreciate the opportunity from IVUmed to make this a reality and look forward to repeating similar endeavors in the future. “The patients, with teeth gritted and anxious faces, put their care into our hands despite the language barrier between us. 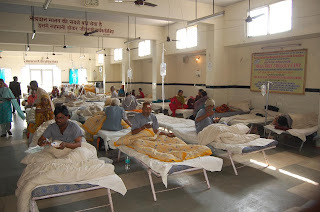 It was gratifying to be able to care for these patients and provide comfort. 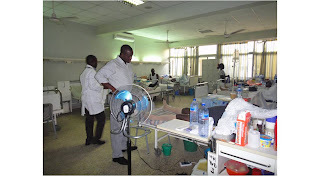 “My arrival at the halls of 37 Military Hospital was welcoming. I found welcoming smiles and genuine interest in my urologic perspective and actively encouraged to challenge ideas and bring forth alternative treatment plans and opinions. There was a true collegial excitement at exchanging ideas and patient experiences and learning from each other. “During my six days in Mahuva at Sadbhavna Trust Hospital, I operated like crazy – running back and forth between the 6 operating beds that filled 2 operating rooms. As I was finishing one case, a patient behind me was getting their spinal anesthesia injected and being prepped by assistants for me to operate on in a few minutes. “In Mahuva they did not have all of the fancy equipment we have in the states; there was no fancy LigaSure, no argon beam, no laser lithotripsy. 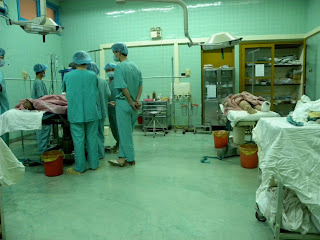 They had a scalpel, cautery, suction, a light and a patient who needed surgery. If something is bleeding, quickly put an “artry” (i.e. hemostat) on it and move on. If the suction isn’t turned on, use one of your two laps to stop the bleeding and move on. If they don’t have the needle driver you want, make do with another. For more information on getting involved with our Resident Scholar Program, please visit our website at www.ivumed.org. 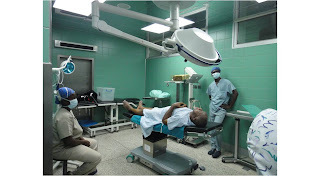 1,500 man hours, 15 physicians, nurses and technicians and true dedication compensate for the $320,635 worth of medical services contributed to over 150 patients in Haiti. 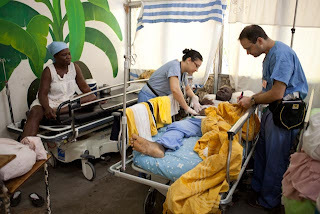 In November 2011,IVUmed sent two medical teams to Descheppelles and Pignon, Haiti to train local physicians. Partner doctors received training and lectures from volunteer surgeons to create a sustainable program for urological procedures. – Laura Springhetti, Nurse Anesthetist volunteer, Pignon. Our work there was established through two partnerships, with Promise for Haiti and Hospital Albert Schweizer of Descheppelles. 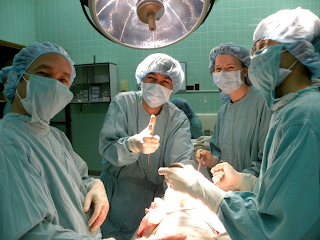 On March 10th, 2012, a group of IVUmed volunteers are returning to Pignon to focus on female urology. To stay connected with trip updates and volunteer opportunities, “like” us on Facebook.